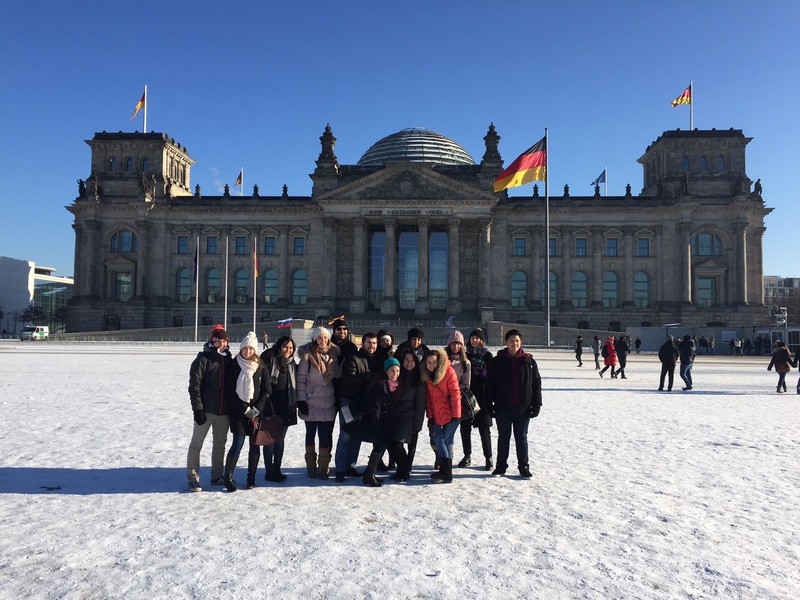 Friday and Saturday, January 22-23, our students of the Master Programme in European and European Legal Studies spent in Berlin to hear a talk on career opportunities in international organizations and to visit a career fair at the German Federal Foreign Office. 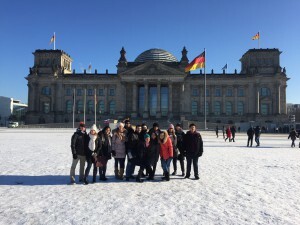 On Friday morning our group took a walk through the government district to see some of the sights. In the afternoon, a representative of the German Federal Foreign Office delivered a talk on career opportunities and selection procedures of EPSO, for the European institutions, as well as other international organizations, such as the United Nations. On Saturday, our students had the opportunity to meet potential future employers at the career fair of the Federal Foreign Office where a large number of international organizations had set up stands and were eager to answer all kinds of questions surrounding educational and career opportunities. Among those organizations present were the European Organization for Nuclear Research (CERN), the International Tribunal for the Law of the Sea (ITLOS), the World Bank Group and UNESCO, to only name a few.